Tea Draganovic (22) was recently crowned Miss Idaho USA 2018. 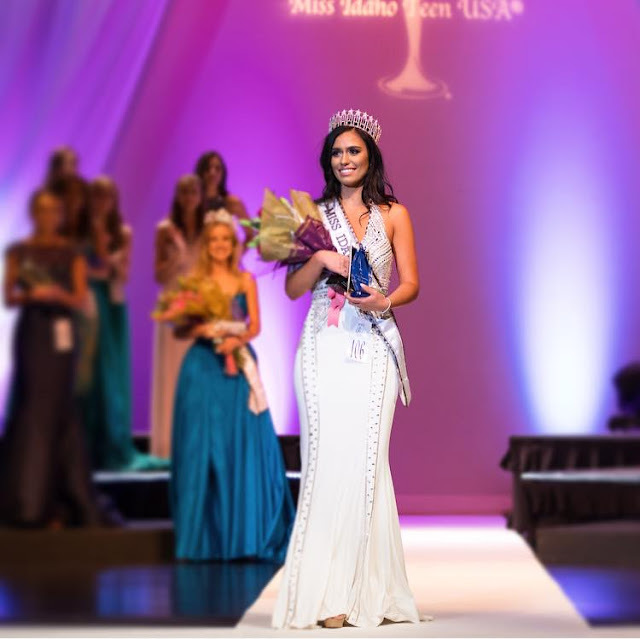 She stands 1.77m tall and will represent Idaho at the next Miss USA competition. Idaho has only placed four times in the history of the Miss USA competition, the last time being in 2009. I would say that she'd have to work hard on her styling to make an impact! Very CUTE!! Hopefully the MUO will go back to a Top 15! !